Luxury Country Home with swimming pool in Piemonte Vesime Near Canelli, Nizza Monferrato, Asti, Alba and Acqui Terme (ref: 6863)- Prestigious country house set within its own private grounds with swimming pool and olive grove.. Piedmont Properties in Piemonte. Property for sale Langhe and Piemonte. 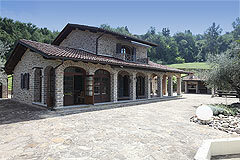 Map for Property ref: 6863, Luxury Country Home with swimming pool in Piemonte - Prestigious country house set within its own private grounds with swimming pool and olive grove.